Magna-Note™ Magnetic Note Pad - "Notes"
Take a Business Card Magnet, add the 20-sheet Stock Stik-ON(R) Adheisve Note Pad, and you have a Custom Magna-Note™. 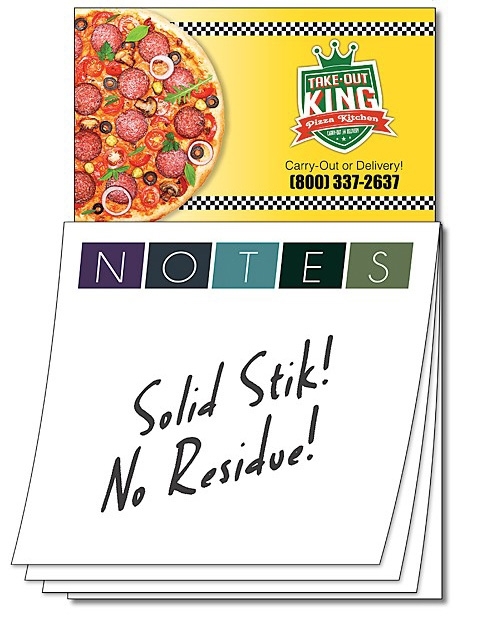 NO imprint available on stock Stik-ON(R) Notes. Please Note: Final placement of the magnet header is not exact and may shift up to 0.0625” in either direction. Business Card Magnet includes printing in full-color (four color process) on one side. Exact color matches, metallic and fluorescent colors not available in full-color. Magnets are not intended for outdoor use. Write-on/Wipe-off surface not available.